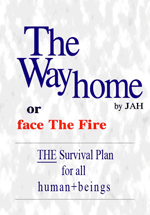 Below you will find a collection of reviews and testimonials from readers who have enjoyed and benefitted from reading "The Way home or face The Fire" and wish to spread the word. Have you read The Way home or face The Fire yet? You are more than welcome to Add a Review, which will hopefully inspire others to read it too.